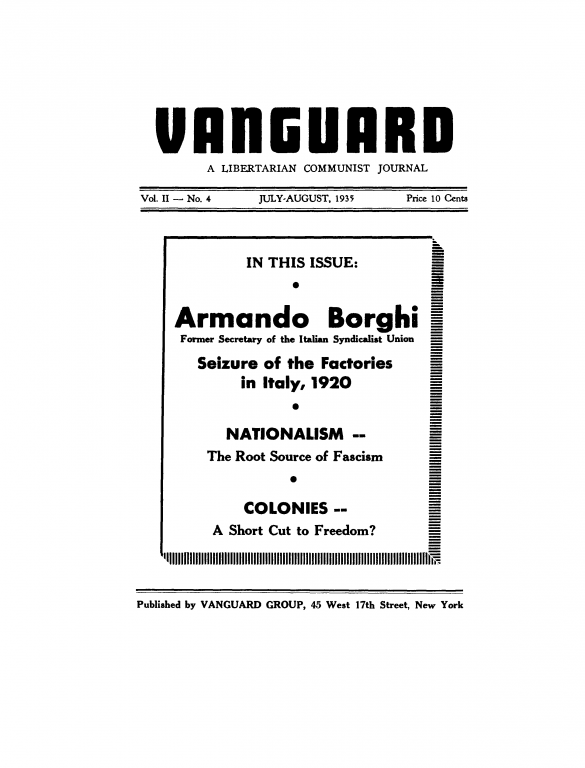 The July-August 1935 issue of Vanguard, an anarchist journal published out of New York, with articles by Armando Borghi, Sidney Solomon and Sam Dolgoff. -The Comintern has convened! by R.W. -Nationalism: the root source of fascism by S.X. Book review: The Russian Revolution by William Chamberlin, review by S.X.